Sleep issues have been linked to an ever-growing list of health problems - high blood pressure, heart disease, obesity, diabetes, Alzheimer’s, and anxiety to name a few. According to research, midlife women are particularly susceptible to poor sleep due to changing hormones as we transition through perimenopause to postmenopause. The new sleep epidemic has created an explosion of new products that promise to help us reclaim our ability to sleep well. We’ve rounded up some of the latest products - many from female founded or led companies - that promise to help you fall asleep, stay asleep, and wake up refreshed. The Nue Company has created a product that works as a sleep-aid or post-workout to speed up muscle recovery. All Nue products are free of synthetic ingredients and toxic chemicals and are sustainably sourced and organic. The company also offers customers traceability and high product quality standards. Empower combines Epsom salts, essential oils, CBD, and other ingredients to help you ease muscle tension and relax for a better night’s sleep. Splurge on a gift set to try other products like the topical relief lotion or oil. All products are non-intoxicating, paraben free, non-GMO, and sustainably sourced. Made only from essential oils, Uma promises to promote relaxation and sleep by soothing away tension and helping you mentally unwind. HealthyUp is a nutrition supplement made from a blend of three non-GMO, water-extracted botanical roots that have been used in Asia for several hundred years as well as polyphenol-rich grape seed extract. These clinically researched ingredients are vegan, soy and gluten free, and free of hormones and preservatives and provides relief for common symptoms of menopause, including occasional sleeplessness. doTerra Essential Oils are among the highest quality oils for aromatherapy. In a study, lavender essential oil increased quality of sleep and reduced level of anxiety in patients with coronary artery disease. Another study found that aromatherapy has a positive effect on symptoms of sleep disturbance in elderly people with dementia. Pair this intro kit with the beautiful diffuser below. The hand-cast ceramic Ritual Oil Diffuser v2.0 is designed in collaboration with acclaimed product designer Jamie McLellan and made in New Zealand. It's sculptural silhouette & purposeful design is the perfect addition to any room. Pair with doTERRA Essential Oils for a deluxe treat or gift. The Oura Ring is undoubtedly the most stylish and unobtrusive of the sleep trackers. It promises to deliver feedback like sleep stage tracking, total sleep time, body temperature, body movement, and night-time resting heart rate that will lead to more restorative sleep. Oura lets iOS users seamlessly import and export data for a more holistic look at their health. As a bonus, you also get daytime activity and calorie tracking. Supplementing your alarm with light may help you sleep better. The principle of artificial dawn is simple: Rather than just blast you awake, this light turns on roughly 30 minutes before the alarm, mimicking a natural sunrise to trick your body into easing out of deeper sleep phases. Once you've surfaced slightly from the light, an audible alarm can kick in and wake you from a lighter sleep phase. It offers a variety of built-in, gentle alarm sounds, an adjustable light level for waking and reading, an R&D-supported spectrum of light, and even a sunset-style bedtime mode that will play soothing sounds or guide you through breathing exercises. Sometimes you just have to go old school. Invented in 1962, the Dohm is one of the original sound machines. It comes with two speed options for adjustable tone and volume and in multiple colors. Eyejust is a blue light blocking device for iPhone and iPad. It also offers impact protection and is anti-bacterial, scratch and smudge-proof. Blue light, which has a shorter wavelength and more energy compared with other colors, can gradually cause damage to the eyes. The product promises to combat the longterm negative effects of blue light which damages cells in the retina, causes sleep disruption and prematurely ages the skin. YNM is a premium-grade weighted blanket that helps relax your body by simulating the feeling of being held or hugged, making you fall asleep faster and sleep better throughout the night. It features a breathable SMART Fabric and Moisture Wicking Management that helps hot sleepers to stay drier and cooler, cool sleepers to stay cozy. 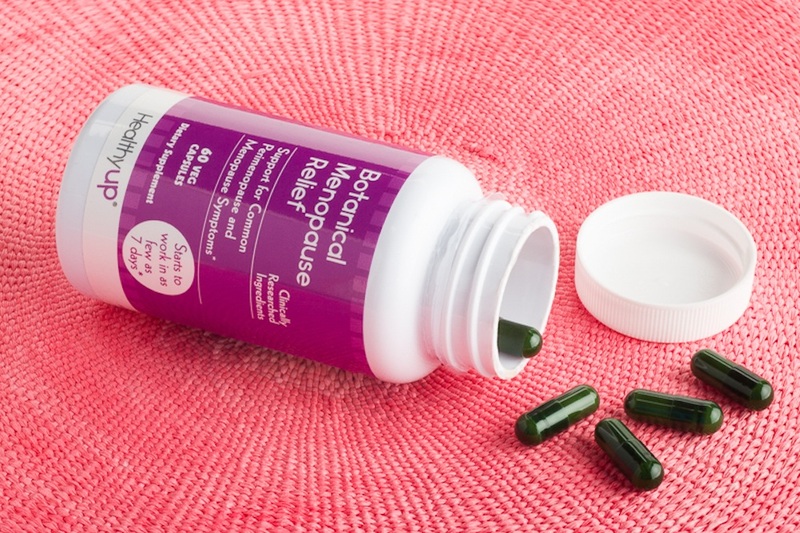 Perfect for alleviating nighttime hot flashes and night sweats. If your partner doesn’t want to be weighted down, we recommend buying the twin size and using it like a Scandinavian doona blanket that can be folded and placed at the end of the bed or in the closet in the daytime. Cool Jams is a popular choice for women who sleep hot or are experiencing nighttime hot flashes and night sweats. The company’s fabric is a specially designed polyester Microfiber that has been engineered to feel like soft cotton is fast wicking and drying. It also offers odor and bacterial control with natural antibacterial treatment. Chose the capris for warm climates or a cold-weather style that can double as a lounging outfit. As great as these products are, experts agree that lifestyle change is the most effective way to improve your sleep. Sign up for Lisa Health and start your Sleep Journey. Select from more than 17 science and expert-backed challenges that will help you make small changes that will lead to big improvements in the quality of your sleep. We would love to hear about products that you have found helpful for sleep. Visit us on social media and let us know! 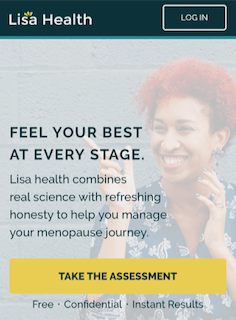 For more information about how to improve your menopause symptoms or midlife health, join us at Lisa Health. Lisa Health is a participant in the Amazon Affiliate Program, a program designed to provide a means for sites to earn fees by linking to Amazon.com. If you purchase a product from Amazon or another affiliate program we participate in, we get a small commission that helps us provide information and services to our users. We’ve curated these products to keep you abreast of new technologies, emerging science, and things we think are interesting or cool. We have not tested these products and can’t validate their claims. The decision is yours, and whether or not you decide to buy something is completely up to you.